Released on November 30, the agency’s Small Business Innovation Research (SBIR) FY19 Pre-Solicitation document has been made available to interested parties, giving them an opportunity to comment or request information about selected topic areas, one of which is ‘Blockchain Applications for Homeland Security Forensic Analytics’. According to the document, blockchain monitoring frameworks geared toward Zcash and Monero are of special interest to the DHS because its existing Bitcoin-focused analytics capabilities “cover only a limited scope within the realm of cryptocurrencies.” The expansion into the privacy cryptocurrency area is intended to keep pace with newer blockchain implementations and demonstrate that the DHS possesses sufficient extensibility to deal with the threat posed by illegal hidden transactions. The proposal identifies 3 phases of research. The first involves designing a blockchain analysis ecosystem, building on and around Zcash and Monero to enable forensic analysis for homeland security and law enforcement applications using cryptocurrency. The second phase involves prototyping and demonstrating the blockchain forensic technologies already designed, while the third phase is the implementation of blockchain forensic analytics for government and commercial uses by assisting with law enforcement operations as well as anti-money laundering compliance. The move signals a figurative touching of gloves as the US government prepares to take on censorship – resistant blockchain implementations as part of its efforts to make sure that cryptocurrencies are not used to enable money laundering ,tax evasion and terror financing. CCN reported in September that a group of US government agencies led by the IRS have awarded several contracts worth millions of dollars to blockchain monitoring firms like Chainalysis as part of this effort. 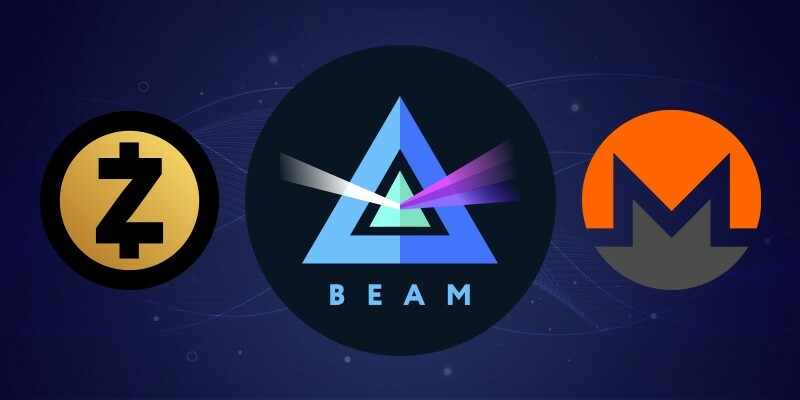 What’s the difference between Monero, Zcash, and BEAM?